As you know, the Google Reader is set to the middle of the year, without any alternative by Google itself. Gogo wrote an articel a few weeks ago, and linked to „lifehacker.com“, you can read the articel here at her blog. 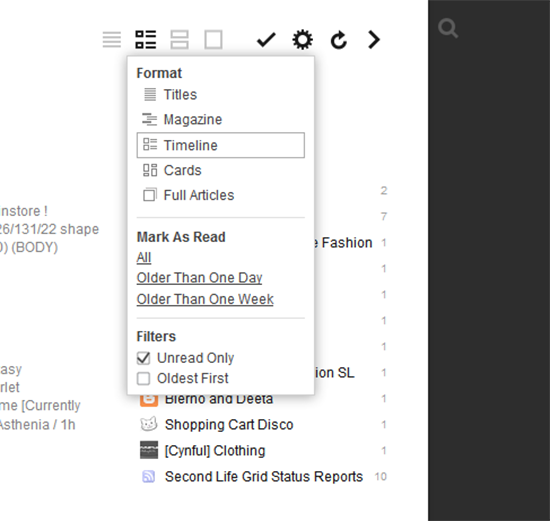 Feedly is very clear, helpful, well-structured and easily to use. There are various display options, full text with image, title only, magazine look, Card View. 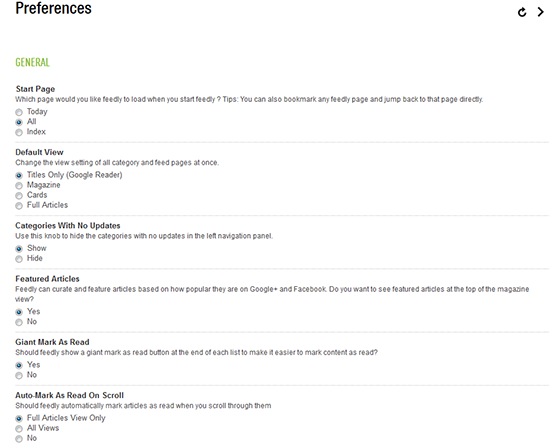 Feedly displays only unread articles, if desired, this is something I missed in the last month with the Google Reader, it showed ALL articles, even if you marked only one with „unread“ to make it easy to find later. I do not know if this is just a problem to me, but it was incredibly annoying. Anyway, Feedly is a really great alternative for those who have used the Google Reader and have many blogs that they want to track. 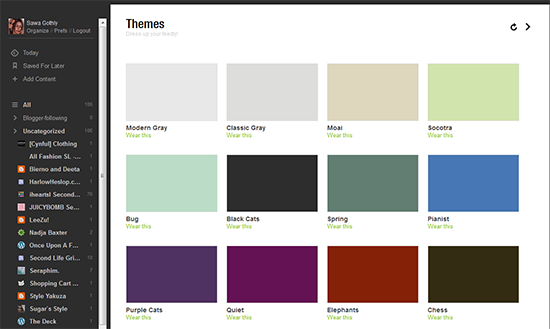 I took some screenshots from my feedly.com to show you how it could look like ! 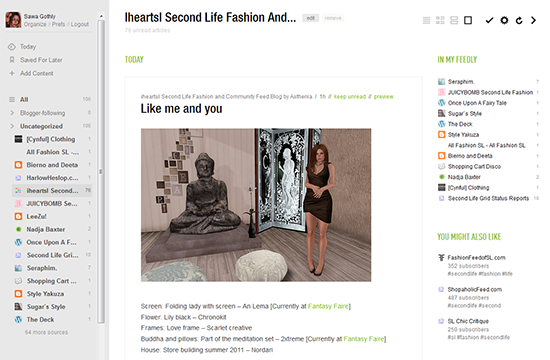 Dieser Beitrag wurde unter bloggies from Sawa, I Heart SL, Misc, Tutorials abgelegt und mit alternative rss reader, feedly, Feedly.com, Google Reader verschlagwortet. Setze ein Lesezeichen auf den Permalink.